Steeped in the lineage of Iyengar, and the style of Judith Lasater, Restorative yoga has become one of the most sought-after class styles in the US, particularly in urban areas. The reason is obvious—relaxation. With the speed of modern life, people desire efficient, effective, and transformative ways to rest and rejuvenate. Restorative yoga is a receptive practice where the body is passive while completely supported by props. By stimulating the parasympathetic nervous system, Restorative yoga allows students to release physical, mental, and/or emotional exhaustion, tension, and patterning, all while cultivating compassionate attention. Among its benefits are improved sleep, digestion, and blood pressure, as well as reduced stress, anxiety, and depression. Please plan to be present for the entire weekend; partial enrollment will not be allowed. 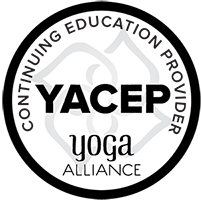 This weekend is open to anyone, part of our 300-hour Advanced Teacher Training program, and qualify towards Yoga Alliance Continuing Education Credits (CECs). If you are taking this workshop toward your advanced teaching certification, please register for the 300-hour program in advance.